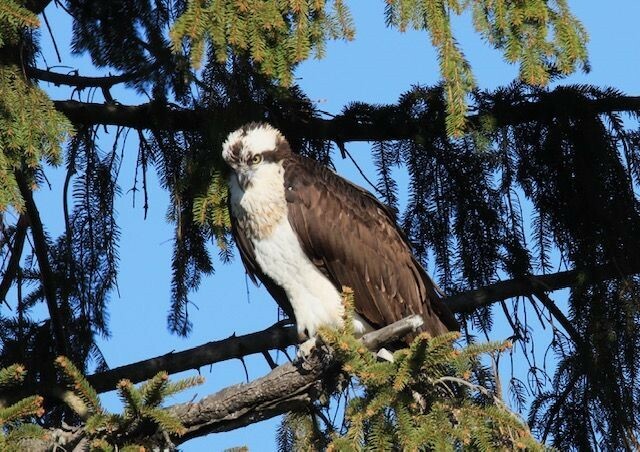 Yesterday, “06880” reader James McDonald said he had not seen Westport’s ospreys at their Post Road East nest in a week. 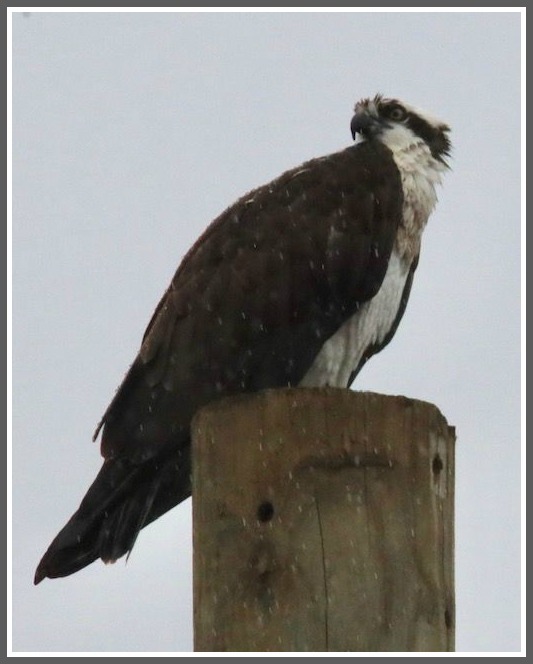 He wrote that sparrows had taken up residence there, and accused Regency Centers — the owner of the Fresh Market osprey pole — with “effectively murdering” the raptor family. 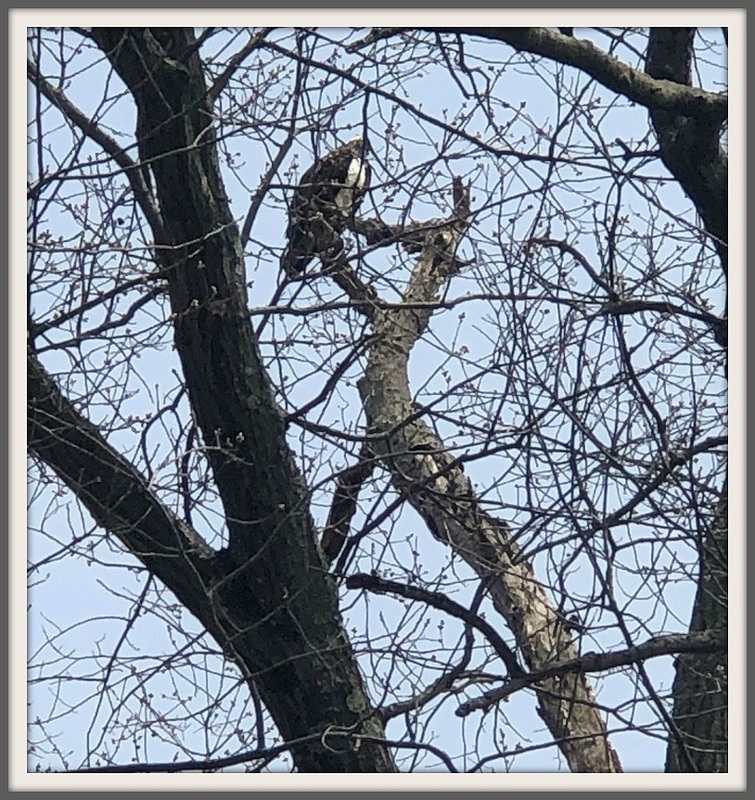 Chip reports that the male is in branches above the nest, looking down at what he assumes is the mother. He hears noises, and thinks she may be laying eggs. 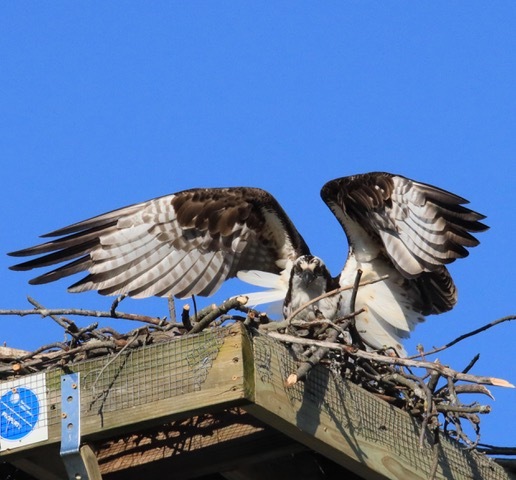 After a rough weekend, our ospreys are back loving life. 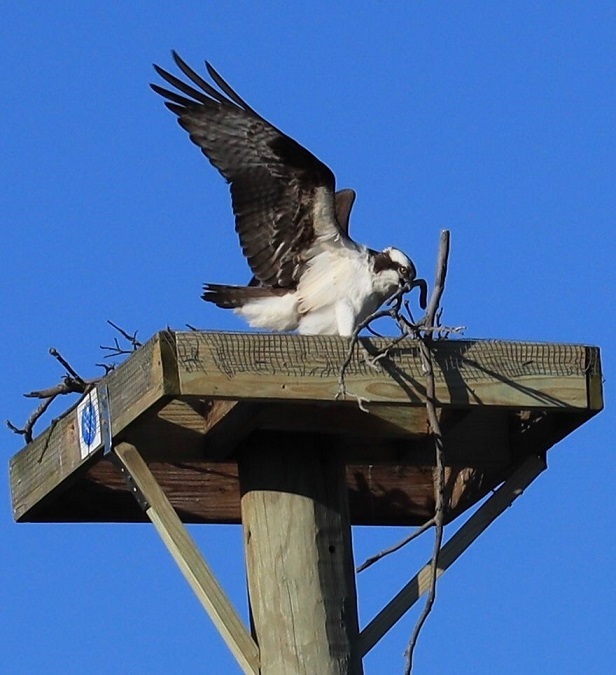 After an anguished weekend, Westport’s favorite ospreys once again have a home. 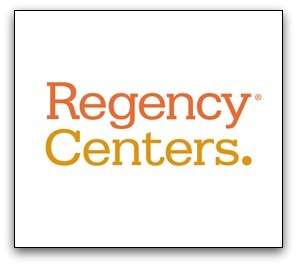 True to its word, Regency Centers — the owners of the Fresh Market shopping plaza, who directed the removal of the nest on Saturday — worked through the night to replace it. Several “06880” readers gleefully — even giddily — reported the good news this morning. Richard Webb got a great photo. Also working hard: hundreds of Westporters, all weekend long, to help make this happen. The ospreys thank you. 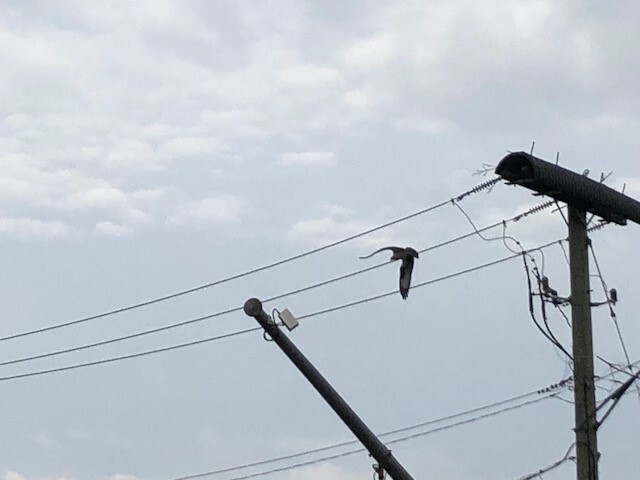 It is extremely important to us that we are good and responsible neighbors, and that includes our feathered friends as well as our human ones. We can’t thank everyone enough for their concern and interest on the topic, and a special thank you to those who reached out to us. 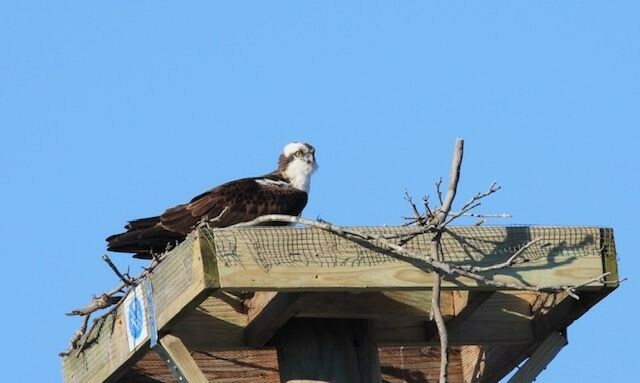 This morning, Westporters watched with sadness as an osprey searched for a new home. 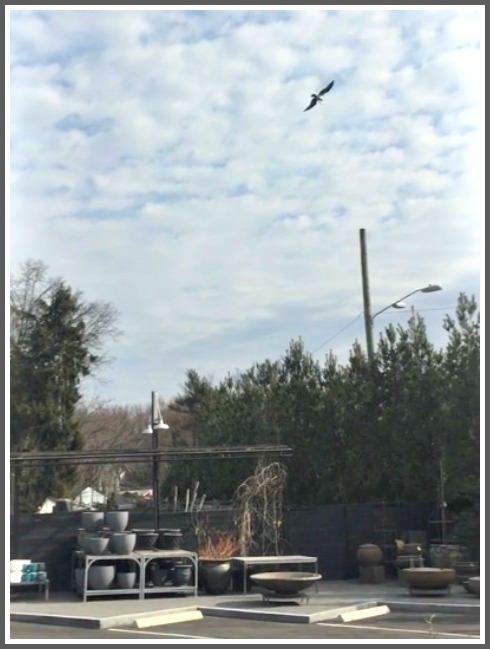 Joe Sequenzia and his wife Kelly snapped these photos of the magnificent bird, at the Fresh Market plaza. 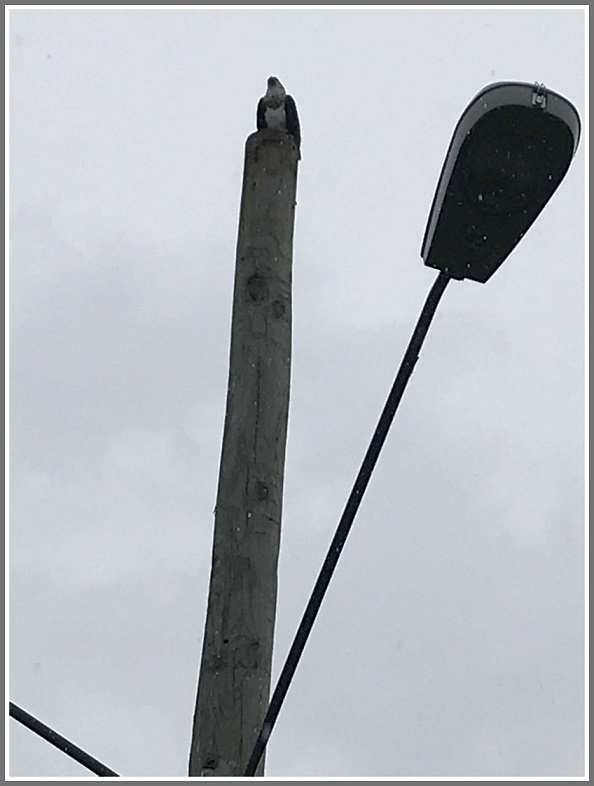 In the wake of yesterday’s removal of the osprey nest between Terrain and Fresh Market, several readers wondered if there was a photo of the actual act. Staples High School freshman Jaden Mueller took this shot. His parents, Adrian Merri, sent it to “06880.” They said it had no business name on the side. Meanwhile, “06880” reader (and Connecticut Audubon Society board member) Charlie Stebbins directed me to Miley Bull, Connecticut Audubon Society’s senior director of science and conservation. I called Miley this morning. 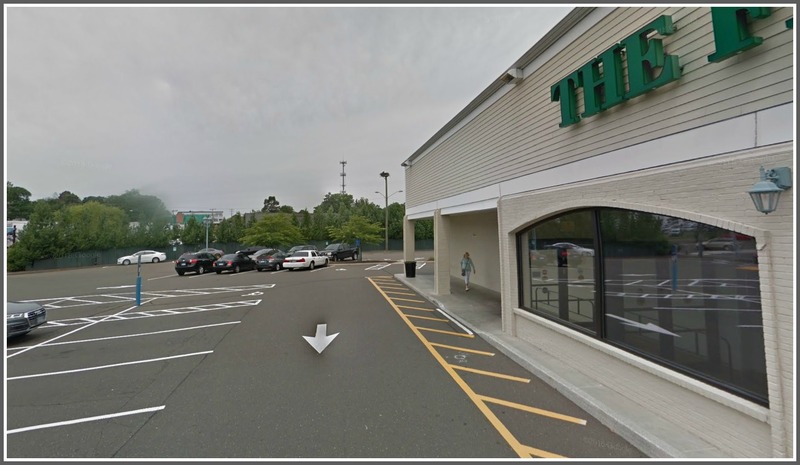 He said that on Friday afternoon, the contractor for property owner Terrain — he’s not sure of the contractor’s name — called. 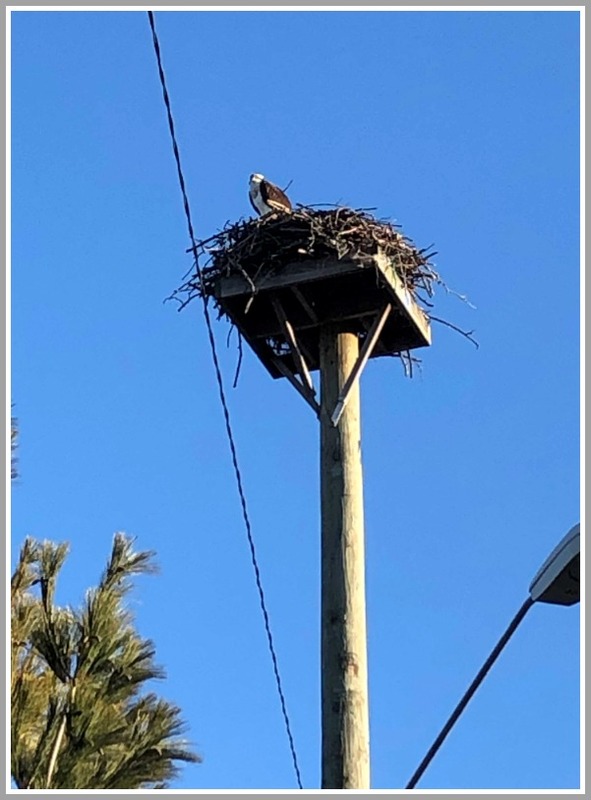 He said they’d be taking down the nest the next day, as part of a parking lot project. 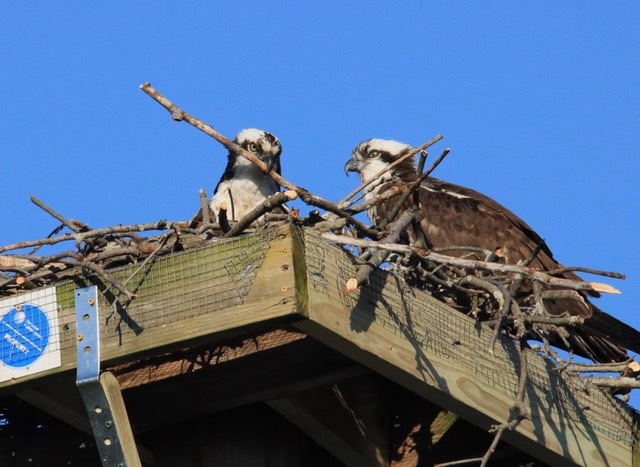 The contractor said they wanted to remove the nest before the ospreys laid eggs, because then it would be an “active” nest. 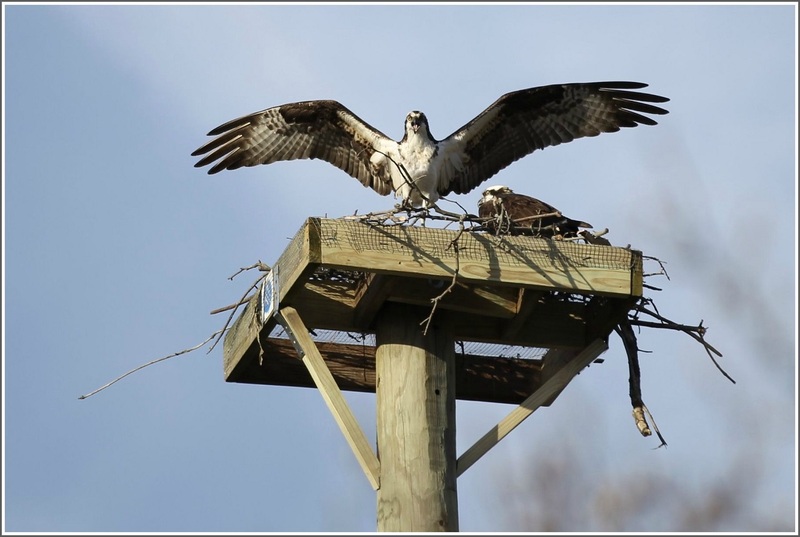 If the ospreys abandoned the nest then, the contractor might be liable under Connecticut law, the contractor knew. Miley told the contractor that the adults were already back. 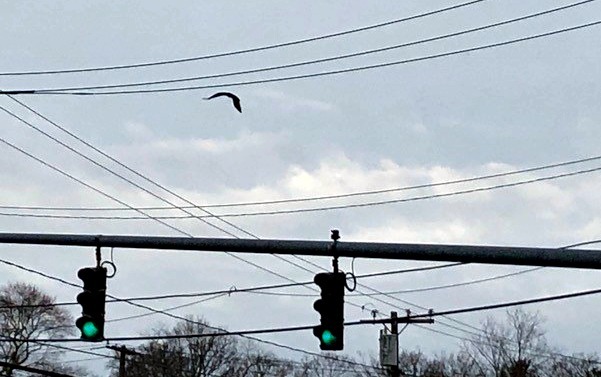 He told me, “I have no control over private property.” But he called Brian Hess, wildlife biologist for the Connecticut Department of Energy and Environmental Protection. Miley said he told Brian, “I’m not sure of the best thing to do. I told the contractor that there’s a lot of activity there already. 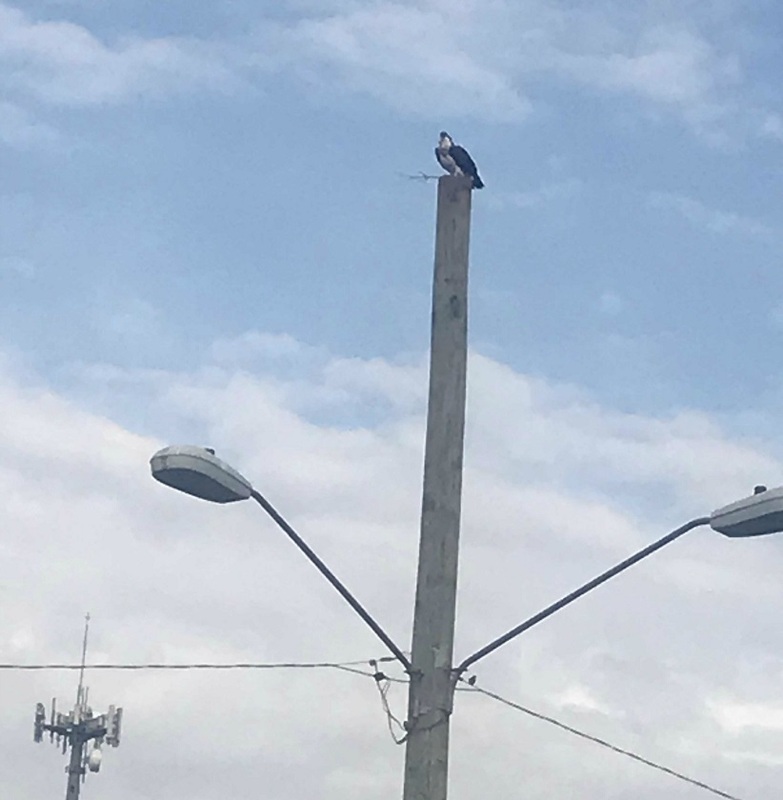 The birds might be habituated to noise, and not affected by construction.” He told me there are ospreys living on poles near stadiums, with all that activity. 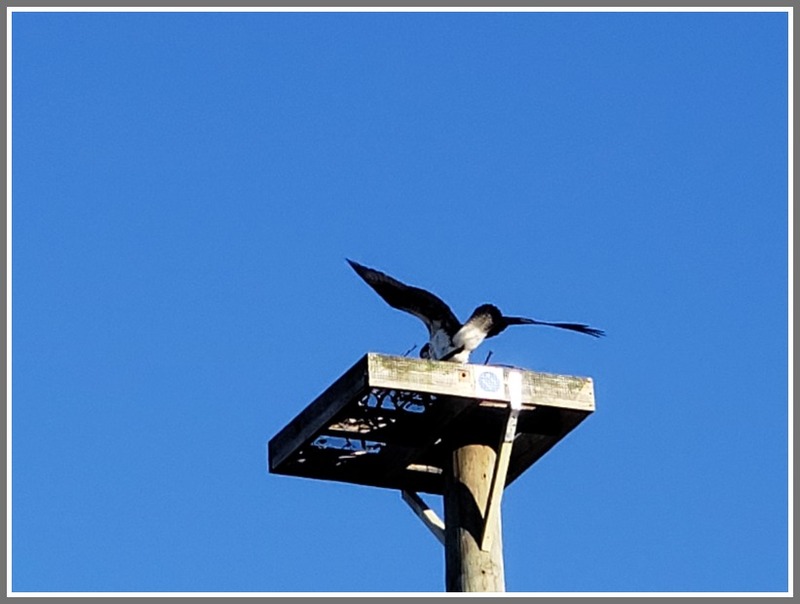 I told Miley that — according to several “06880” readers — the ospreys are apparently covered not only by state statute, but the Federal Migratory Bird Treaty Act of 1918. 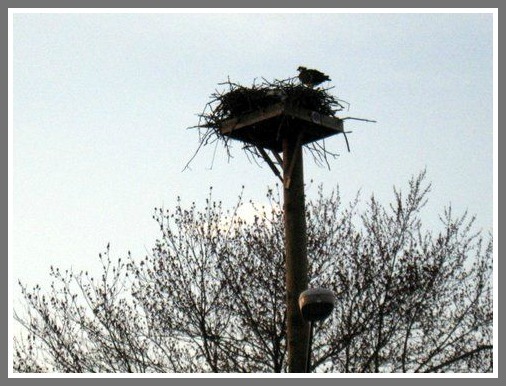 And that the law refers not just to nests with eggs or chicks in it, but to any “active” nest. 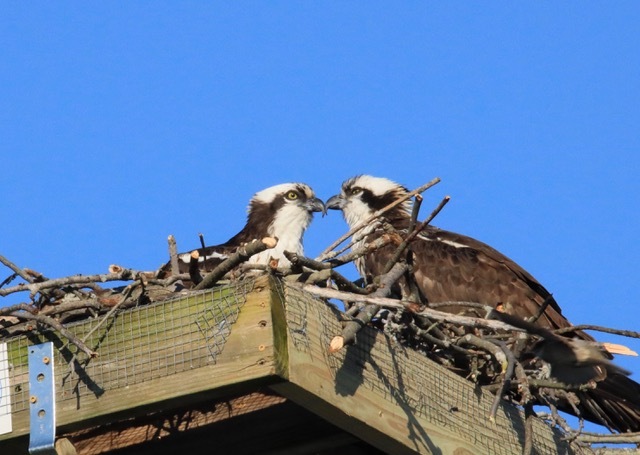 With birds living in it, readers say, this was an active nest. 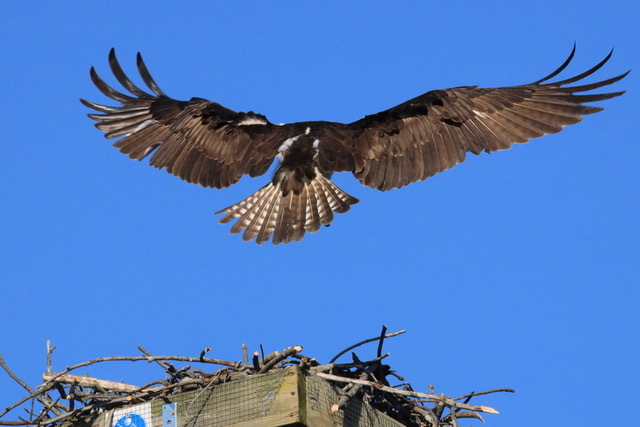 The key issue now is, where do the osprey alight and build a new nest? 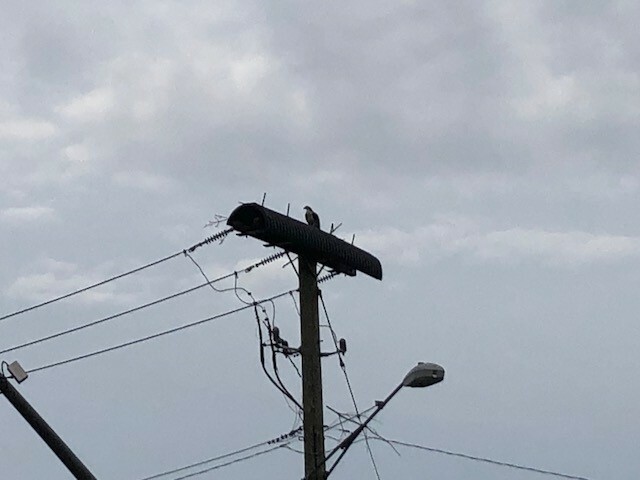 Before Terrain, they built on a utility pole that caught fire and killed the chicks. Hence the new pole at Terrain. 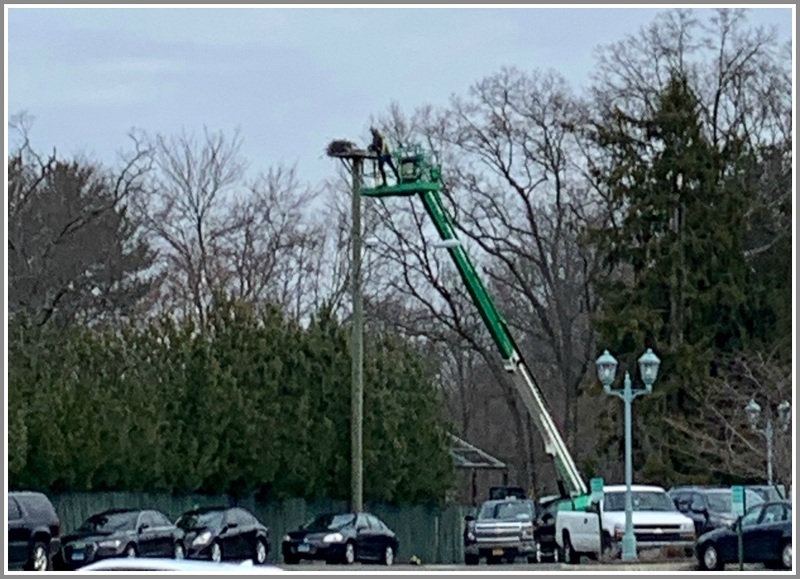 With that pole now removed, Audubon is using its nest monitors (aka Tina Green and other expert Westport birders) to track where the osprey relocate. They will pick a new local site in the next week or two. When they do, we will know if it’s safe or not…and act accordingly.